just you and me baby...: Cell phone headache? For those of you who had or have Alltel service that is changing to AT&T but have your plans suspended due to an OCONUS deployment hopefully this will help you. I went through hours of calls trying to get the correct info. *This will only work if your new AT&T phone is still in the states. We had ours sent to a parent since they wouldn't let us send them to our APO address. 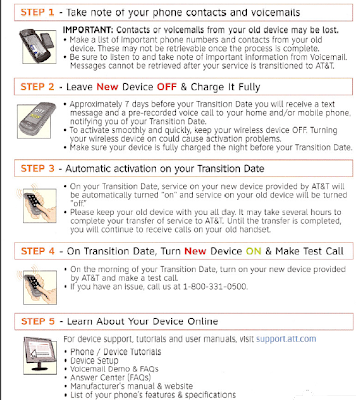 Charge up your new AT&T phone and turn it on the day before or day of transition. (Hopefully you've been getting some kind of notification as to when that is. If you have not you can contact AT&T and they can tell you the exact date.) Call Alltel a couple days before the transition date and have the military suspension removed from your account so that your line is active. It may take a day or two for it to go into effect. It is NOT necessary to have the Alltel phones turned on or charged. If your line is still under military suspension when your account is set to switch it may not work. 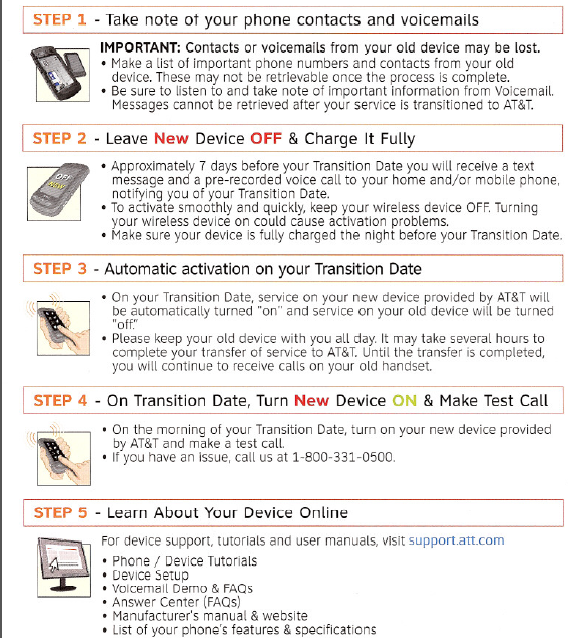 You should get a text on your new phone on the transition date and that will activate the phone and switch it to AT&T. Make a test call to be sure it is working (or have someone in the states do all this for you.) You can then call AT&T and have them put a military suspension on your AT&T account. (I was informed I wouldn't need to fax any paperwork in to prove it but I have feeling when it is time I will have to send something in. I guess we will see in a couple of days.) I don't know if there will be a prorated bill for those 2 days my account was active or not. Last time Alltel was able to see we were not in the states and not using the phones and were very helpful about crediting the charges for the few days when we were trying to get the suspension put on. If we get a bill I'm sure it will be very small. I do not work for Alltel or AT&T. I am only relaying information provided by their customer service departments. If I find out any of this is incorrect I will post an update. My purpose is to hopefully save some other military family the time I spent making all these calls and asking questions. Those of you living overseas know that 800 numbers aren't free to call from here and it's almost impossible to find a non 800 number to contact customer service anymore. Luckily we have a magic jack that has a US phone number and we are able to use it to call 800 numbers for free.